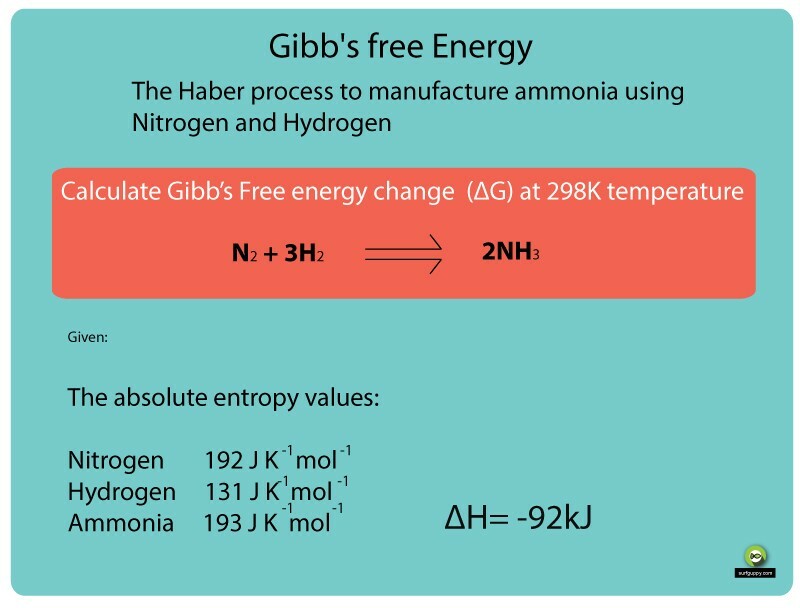 In the question above, you are asked to calculate Gibb’s Free Energy for the Haber Process. The Haber Process is a process of manufacturing ammonia in a factory. The raw materials are nitrogen and hydrogen. Nitrogen is obtained by burning hydrogen in air. Hydrogen is obtained by reacting methane with steam. 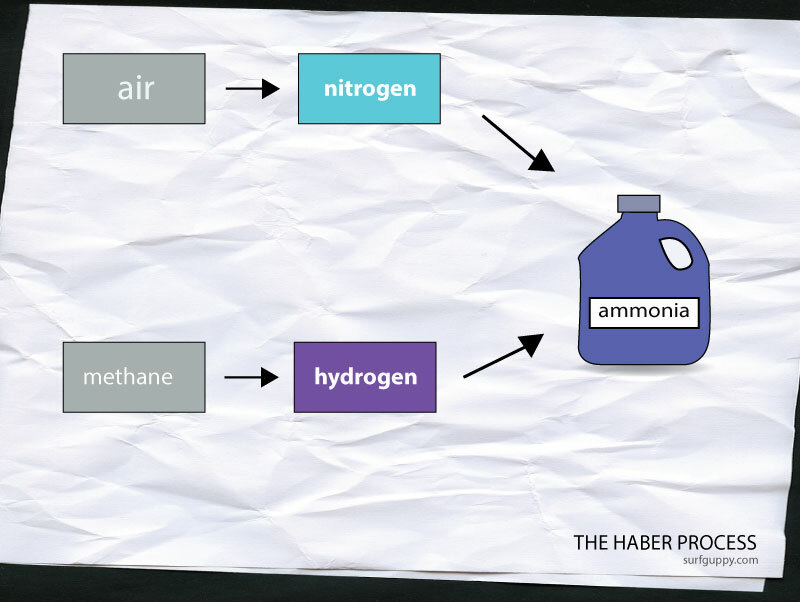 Haber Process combines nitrogen and hydrogen to create ammonia. Ammonia is used widely in household cleaners and other applications such as fertilizers, explosives and dyes. The equation N2 + 3H2 = 2NH3 tells you there are 3 moles of hydrogen and 2 moles of ammonia. You will apply the moles to your calculations below.